For our anniversary meal, I wanted to find somewhere really special and En Ville did not disappoint. A beautiful building with exposed brickwork, marble tables and mirrored walls with a mix of catalan and french cuisine. The menu is adapted for coeliacs and there is so much choice. To start we chose the chicken and ham croquettes to share and for the main course I had the rack of lamb with port wine and Blake had Iberian pork. The meat was cooked to perfection and the service was amazing. They even gave us free glasses of champagne to celebrate. 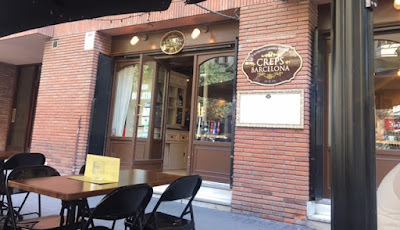 Situated just off the busy Ramblas, is La Lluna a tradional Spanish restaurant specialising in gluten free dishes because of its close proximity to the Coeliac Association of Catalunya. Again there is so much choice and great value for money, for starters we chose the steak carpaccio and I had mashed potato with catalan sausage topped with poached egg. For mains I had stewed meatballs in yellow curry and Blake had stewed chicken with honey almond mustard. They also made the most heavenly desserts including cheesecake which is my favourite and carrot pineapple cake. 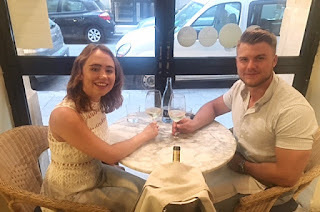 We visited this traditional tapas place after walking around the El Born district, It's named after the homemade sparkling wine that it serves which is amazing, you receive a a bottle and pay by the glass. This restaurant is technically not known as gluten free, but they serve lots of meat and fish and even though the menu is all in Spanish, the waiter was happy to translate. We had octopus, squid and tortilla. We were lucky to get a table in this traditional Catalan restaurant as they were closing for the holidays, but we are so glad we did. Based in the gothic quarter, they specialise in Catalan pizza which is the best food I have ever tried and they are gluten free! The ancient building has a real ambience to it and the prices are so reasonable. A definite must if you're in Barcelona. 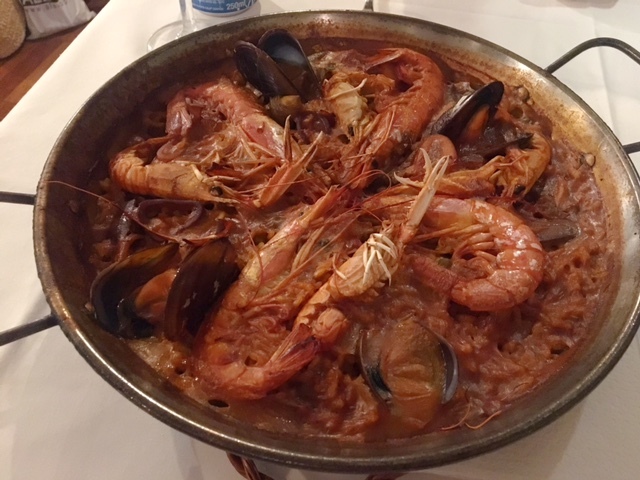 For our last evening, we had to have a paella and we heard that La Fonda also in the Gotic Quarter served up the dish for a reasonable price. When we arrived it was very busy which is always a good sign, but they seated us straight away. The menu is quite extensive and they are happy to show you what is gluten free, the service is quick and the paella was lovely. There are three of these restaurants in Barcelona, we visited the one near Gracia and every single crepe is gluten free. They offer so many different varieties I had to go for the brie and serrano ham it was delicious! A great place to visit for breakfast. 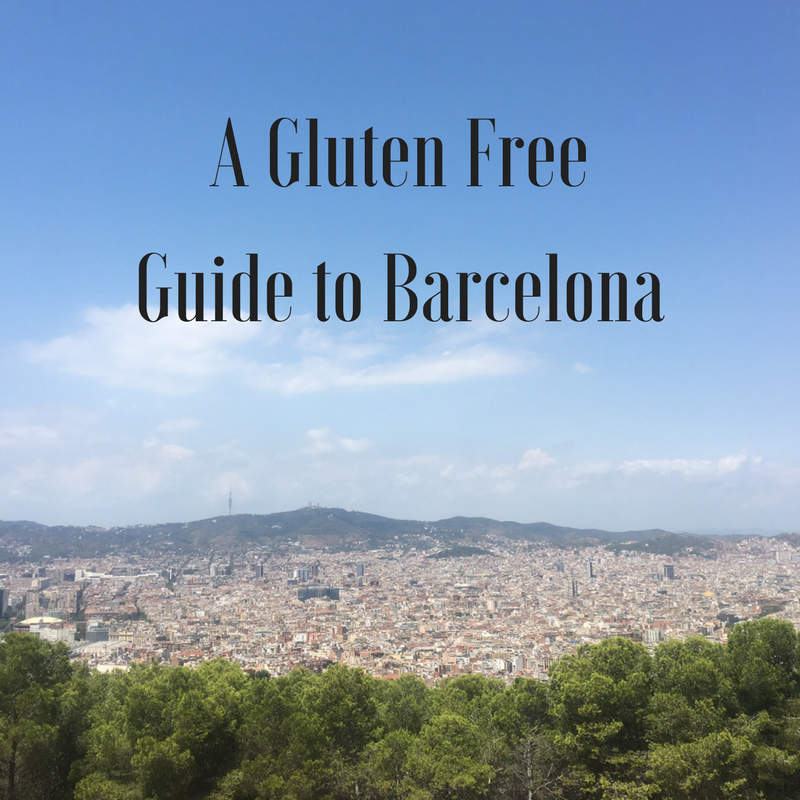 Have you visited a great restaurant in Barcelona? I love what you're doing! As a vegetarian, I understand how it is to try and find someplace that truly has a lot of variety for your diet. Great post! This is a great post. I have many friends who are gluten intolerant and I try to stay free of it myself so finding restaurants who specialise in gluten free is a bonus. I was surprised there were so many in your list, especially in Barcelona.